Arkarna guitarist Matt Hart met Jokowi to congratulate directly to the new Indonesian President in Jakarta. When met Jokowi, Matt accompanied by the Abdee Negara, one of the member of the famous Indonesian rock group, Slank, and Olga Lydia an artist and famous Indonesian TV presenter. Both of them are volunteers who support Jokowi campaign on the presidential election in July 2014 ago. 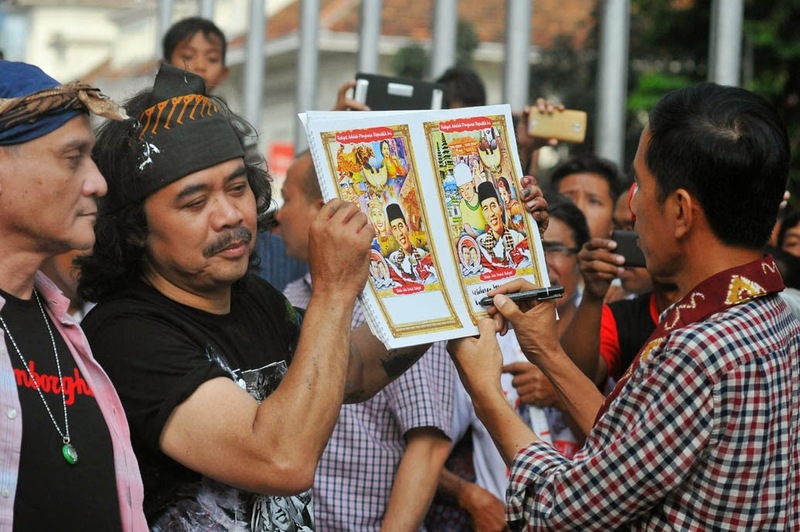 Besides supported millions of volunteers from diverse professional backgrounds, Jokowi also supported many artists support as a singer, songwriter, musical groups such as Slank, director and producer of films, comic artists, writers, comics makers, graphic artists, IT specialists and among other artists. Indonesian president elected, Jokowi Widodo or more well-known by the nickname Jokowi has received congratulations from world leaders such as Barack Obama, Sintaro Abe, Lee Hsien Loong, and others, even some world-class musicians and artists also congratulated. What is interesting is Matt Hart purposely came to Jakarta to meet Jokowi, so this Arkana guitarist, can directly congratulated Jokowi. Matt said he had come on his own initiative and at his own expense. 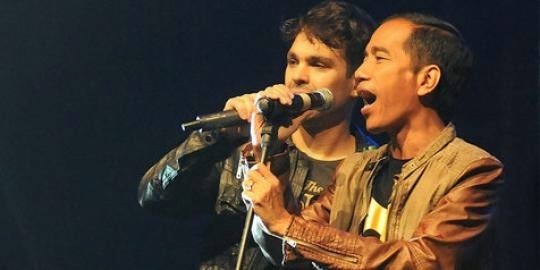 Jokowi ever sang with Arkarna when this famous band concert in Jakarta in May 2013 (Arkarna Party Tour Indonesia 2013). Since then Arkana and Jokowi be friends, let alone Jokowi does have concern for the creative industries with the aim to create a more prosperous Indonesia. Jokowi ever sang with Arkana when this famous band concert in Jakarta in May 2013 (Arkarna Party Tour Indonesia 2013). 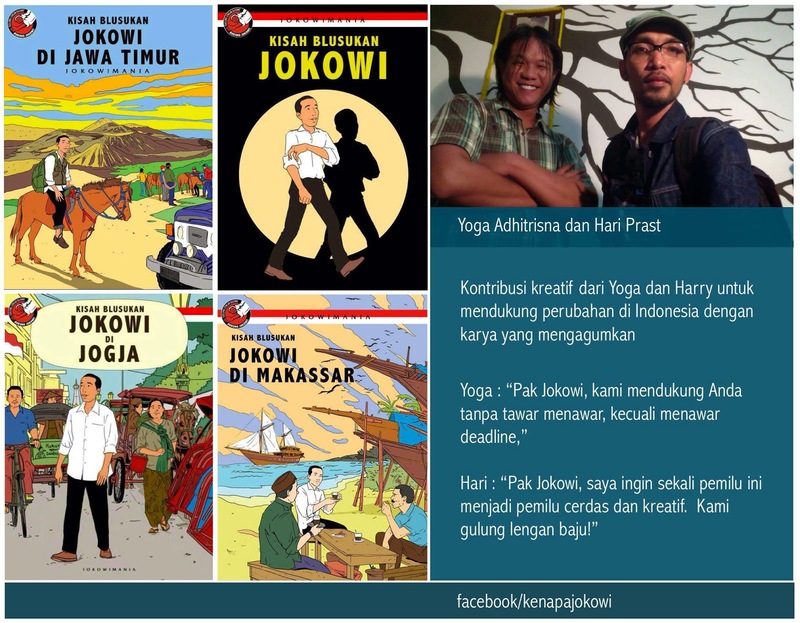 Since then Arkarna and Jokowi be friends, let alone Jokowi does have concern for the creative industries with the aim to create a more prosperous Indonesia. Just For your information, Jokowi is known fan of rock music, especially metal, so Jokowi also watch the Metallica concert, but Jokowi also like Stink and watch his concert in Jakarta. Matt reveals that from the beginning it intends to meet Jokowi, so that Matt can congratulate Jokowi elected as the new president of Indonesia. Finally, after the meeting is finished Jokowi explained that they talked a lot about the world of music and the music industry in the UK and Indonesia. 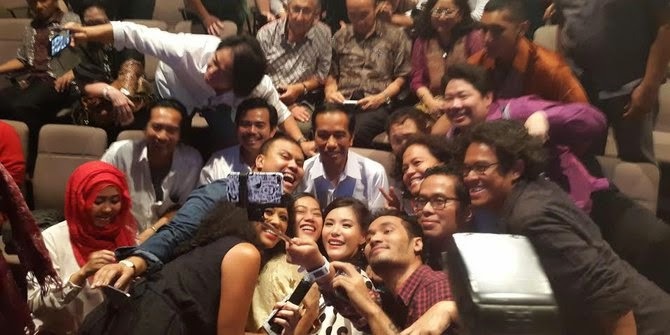 As quoted from the online media antaranews.com, Jokowi revealed, "We talk a lot about the creative industries, especially in London and in Indonesia. I want to know why their music can be developed rapidly since the 1970s". Matt was deeply amazed by Jokowi figure. If you look at the profile photo Arkana Twitter account, then you will see the photo is a form of support to Jokowi to victory as the new president of Indonesia. Therefore, he showed a frontal support to the Jakarta governor. Because of his love for Indonesia, he also looked forward to Jokowi, the president-elect so successful for the welfare of the people of Indonesia has Pancasila as the ideology. Pancasila as way of life, Indonesia is diverse with many different tribes, religions, races, and cultures, even having hundreds of languages ​​can be united in diversity. 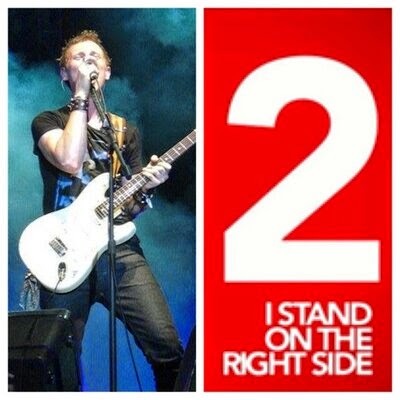 Matt told reporters, "I have great hopes to Jokowi can improve the quality of life for the people of Indonesia," Arkana it has never done a concert in Jakarta, and has never met Jokowi at the concert. Arkana has had a lot of fans in Indonesia. Jokowi does have a very great attention on the creative industries are very much involve young people, for example the music artists, photographic, cinematographic, singer, songwriter, animators, game developers, designers, stage managers, drama artist, actor, graphic designer, software developers, application developers for smartphones, and other creative activities like making a comic, author of novels and so on. That's why when Jokowi presidential campaign last July, as well as during the presidential debate, Jokowi very excited to explain about the potential of the creative industries that will drive the creative economy as a huge revenue contributor for the welfare of the people and make a state that will have economic power, and not only depend on natural resources such as oil, gas or oil. As we know, not all natural resources will be available forever, so that Indonesia should be able to produce high-value products from other industries, and the creative industries is the right choice. Indonesia has many young talents in various fields of arts, information technology, and other high technology in the field of computers, and many have a creative youth to produce a masterpiece to support the creative industries such as film, animation, music, graphic arts, fashion design, photographers, and so on. You will also find many young Indonesian who has been involved either directly in the creative industries who work for foreign companies, or get online employment contracts, so they are many who work from their homes or work remotely. Among them there are also who dare to take risks to become entrepreneurs by opening a business in various fields of creative industries. The Jokowi meeting with Matt Hart, a meeting that could affirm commitment Jokowi, the president-elect to be passionate to develop creative industries in Indonesia. Indonesian young people who want to develop further to become a businessman in a creative field such as software development, animation film making, fashion design, graphic arts, music, film and so on will get a better chance than the previous era. Personality of Matt Hart and his colleagues at Arkana, is expected to give a positive aura to invite investors from the UK, USA, South Korea, Japan or Singapore to invest in Indonesia, so the creative youth, and young Indonesian entrepreneurs can become part of the creative industry's. If you have the expertise or capital to be part of a new era of creative industries in Indonesia, so now you have a good business opportunity to develop your business in this beautiful tropical country. There are so many young talents in various areas such as Bali, Jakarta, Bandung, Yogyakarta, Central Java, East Java, or other cities in Indonesia that you can visit to become your business goals. You can work together with young Indonesian entrepreneurs, and recruit young Indonesian children who have a certificate for the talent and expertise you need. There are many vocational schools and colleges that have been active in developing the creative industries such as graphic arts, software development, multi-media, computers, and various other creative fields. There is no shortage of experts and talented youth. With a program of mental revolution which will be driven by Jokowi, you will see many changes in Indonesia, especially among the bureaucrats and government systems. You will be easier to process permits to open a new company, or to establish business cooperation with Indonesian businessmen. Business permitting process will be simplified and faster to get the legality of the business in Indonesia. Jokowi and vice president-elect, vice president also will do a lot of radical changes to prevent bribery and corruption among government officials and members of Parliament, both in central government and in all regions, nationally. Indonesia will be a comfortable place to invest in the creative industries, as well as other fields such as agriculture, tourism and so on. Are you also going to be part of the triumph of the creative industry in Indonesia? It is time for you to call your consultant to discuss business opportunities in an island nation, which is very rich with amazing culture.